The Juna Christmas bag is the perfect accessory for all Santa Clauses who want to give presents to young and old on Christmas Eve. The 100 x 60 cm Jute bag holds numerous gifts that can be presented out of the bag as a surprise. But the glossy printed Jute bag can also be used as a decorative element for the Advent season and can be decorated with fir branches, for example. Geometric patterns designed in the 70s by Nanna Ditzel to decorate curtains adorn the bag and give the classic Christmas element a modern look. Included in delivery is a band for closing the Christmas bag. 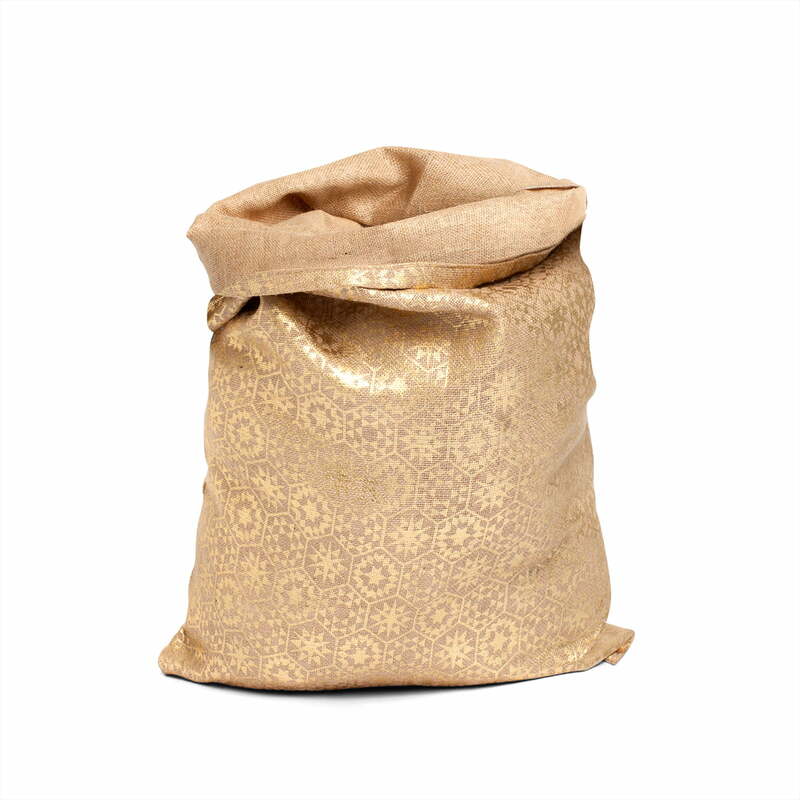 The Juna Christmas bag has a shiny pattern designed by Nanna Ditzel and is ideal for placing numerous gifts under the Christmas tree on Christmas Eve. 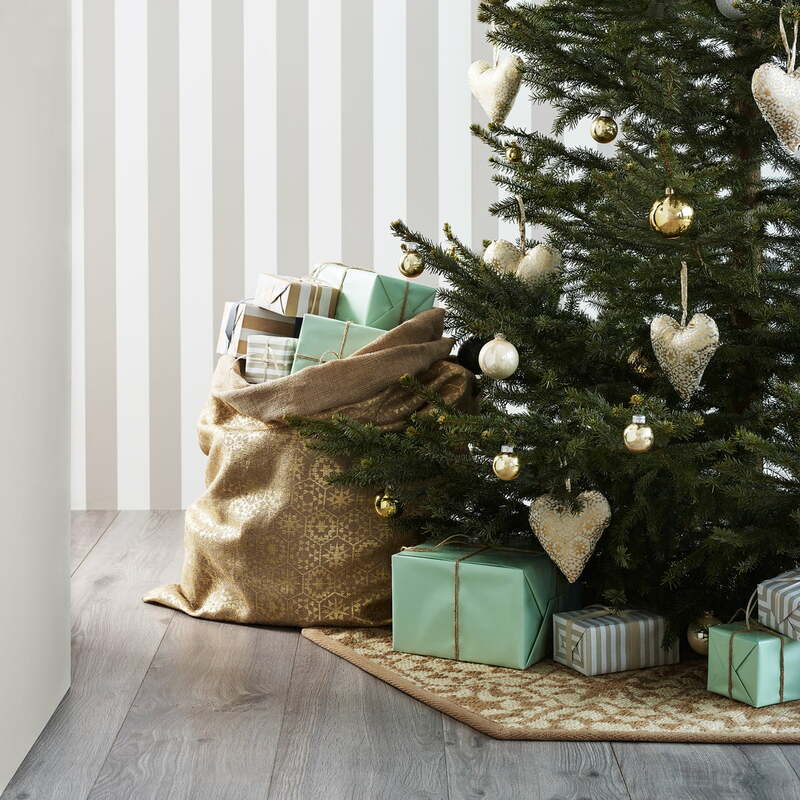 The gifts on Christmas Eve can be beautifully displayed on the Christmas tree carpet or stylishly presented in the Jute tree skirt with a shiny print.